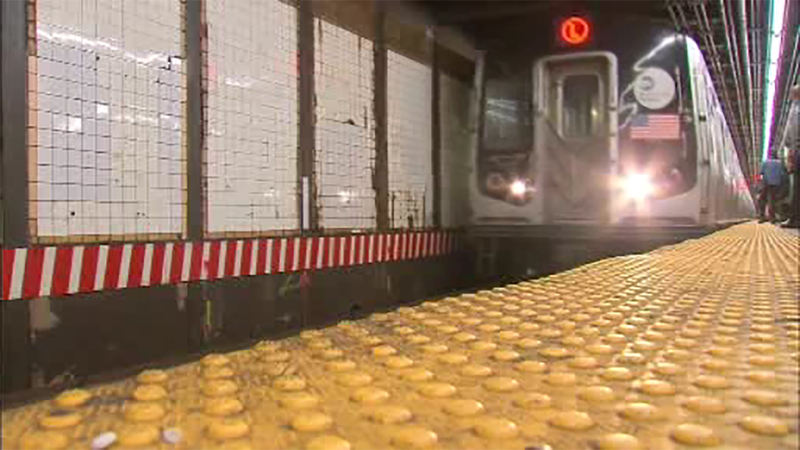 NEW YORK (WABC) -- The L train is suspended between Brooklyn and Manhattan this weekend until Monday at 5 a.m. There is no service between Broadway Junction and 8th Avenue because of construction and preparation for the L line shutdown that is planned to begin in 2019. The 2019 shutdown will last for 15 months since it is necessary to repair damages caused by Hurricane Sandy to the Canarsie Tunnel under the East River. The A, F, J and M trains provide alternate service between Manhattan and Brooklyn. The L train will still run between Broadway Junction and Rockaway Parkway in Brooklyn. Free shuttle buses will also be running in Brooklyn. For more information, go online to www.mta.info.